My mother would also get us kids candy corn. We loved it, or at least I loved it. We didn’t eat too much because candy was a luxury. I would look forward to it all day long at school. I have been known to carry an acorn or two to class, but the candy corn never even survived the school bus ride! So, now I am all grown up, but when the air turns cool and the leaves start to fall, I go on a quest to find acorns….and usually with some candy corn in my pocket. The simple times of childhood, when your biggest responsibility was to feed the dog, were made sweeter by mom’s apple crisp, her hugs and the little orange and white candies. The candy and apple crisp were seasonal. Mom’s hugs were forever. Every time I see an acorn, I think of those cool mornings and waiting for the school bus. When I eat apple crisp, I always think of my mother. 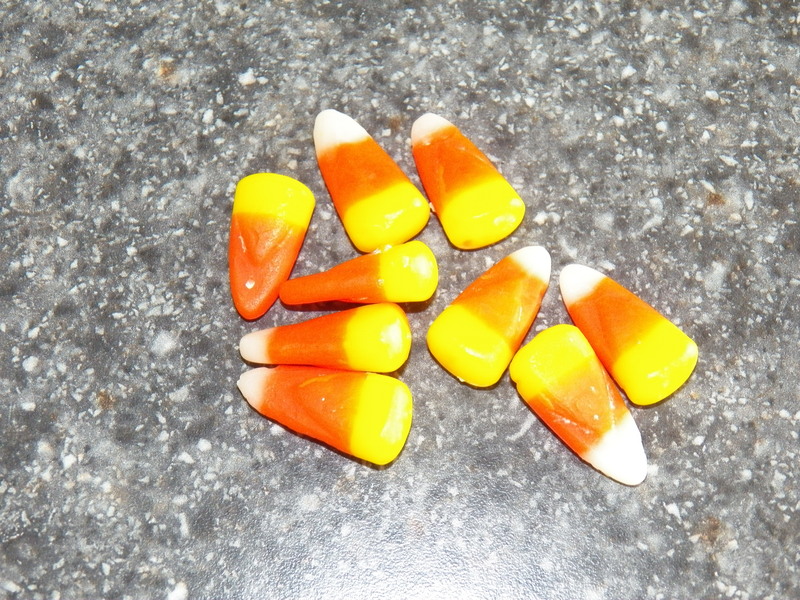 When I eat a few pieces of candy corn, I remember all the sweet times of my childhood. Those are the best memories! I remember getting the sweet treat in my trick-or-treat bag on Halloween. I can see my cousin making buckteeth out of a couple of pieces or even playing Dracula. I like the way it melts in your mouth, as you chew it up. I also like it that it is a seasonal thing. It tastes so good, those first few pieces of the year. I still am not sure if it’s the candy or the memories that please me so, because both of them are sweet.